I am not usually prone to nausea after playing first person shooters. In fact, I'm quite resilient, and have successfully endured hour after hour of grueling matches, indoors and outdoors, well-lit maps or night missions, from the original Doom via America's Army to ArmA II recently. 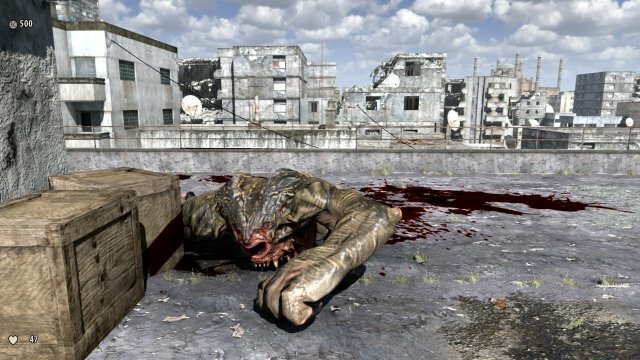 However, one game made me succumb, and that was the first installment of Serious Sam. Just half an hour into the game, I was lying on my bed, pressing hard into my eyelids and repeating, thou shalt not throw up, thou shalt not throw up. 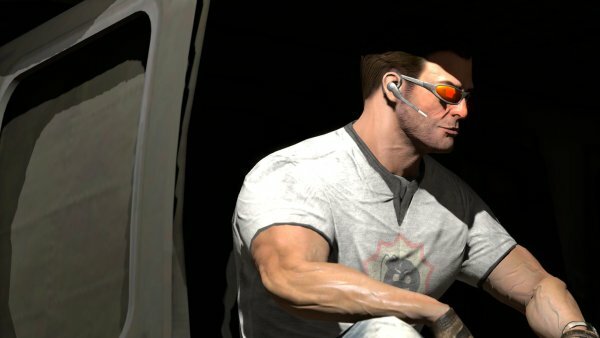 Fast forward to 2013, and there's Serious Sam 3, available for Linux, through Steam. I knew this game would probably be much like its predecessor, and under normal circumstances, I would not have bought it. But this being one of the few titles made for Linux from the very first days, I decided to cash in USD39.90 and help both the game developers and Steam in their Linux endeavor. And now, the review. 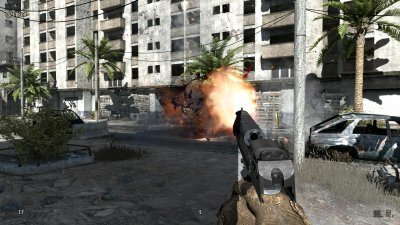 Serious Sam 3 cannot be compared to the likes of Call of Duty or aforementioned ArmA II, because its purpose is not to be a realistic war simulation. Instead, the game is oriented toward fun, with lots and lots of gore in it. Your task, so to speak, is to slaughter as many aliens as possible. Maps are usually large and open, allowing you to go wild with your weapons, as well as allowing huge hordes of enemies to charge your way. Of course, there's a plot and all that, but they are secondary to your mass-murder fun. The map progress is linear, although it comes with a handful of hidden goodies. 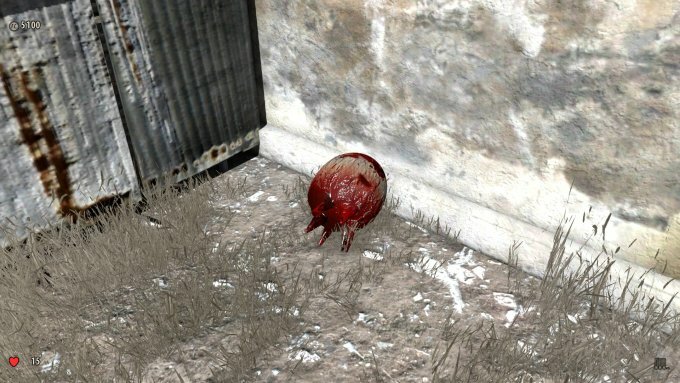 For example, crates can be shattered, and they may contain secret weapons. You also need to collect health and armor around the level. Some of the missions simply stack useful items just before a shitload of killing happens, so you know something bad is afoot when you get a bounty of arms and health bottles waiting for you. Dying is no biggie. If you get overwhelmed by the aliens, you will merely respawn at your last save point and retry the combat action until you get it right. Very soon into the first level, I learned that using narrow corridors as chokepoints is a good way of reducing the attack vector and killing the aliens. Furthermore, you also have the special so-called charge action, activated by letter E. If you hit this button when an alien approaches, you will activate a one-hit-kill sequence that depends on the enemy character attacking you. With some, you will tear their hearts out, others will get stomped to death, and others will have their necks broken. Some of the enemies may appear huge, but they will all die quite easily to your bare hands. I played the first and part of the second mission, where I got stuck in the museum, searching for Professor Stein. I know there's some secret combination of doors and corridors I may have missed, but I was unable to make much progress beyond that, plus there was the little issue of nausea. This time, I lasted approx. two hours. After that, I had to head to my bedroom and rest for a while, hoping I would not vomit. 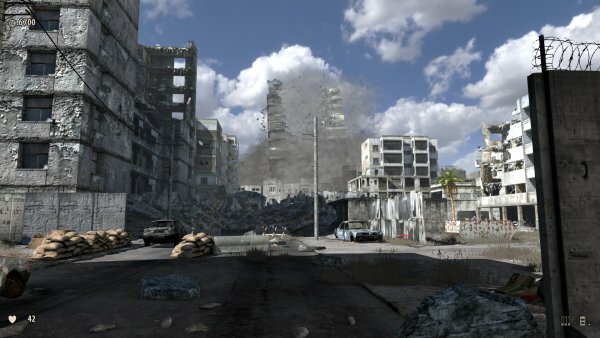 The thing is, Serious Sam uses a rather wide-angle field of vision. 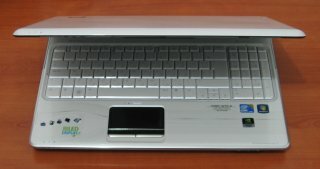 Moreover, to allow the user to cover the great distances present in the various maps in a reasonable time frame, the speed at which the character moves is quite phenomenal. On top of that, the corners of the map and the center of screen move at varying rates, adding to your feeling of vertigo and dizziness. Serious Sam 3 really challenges your senses. The game is quite fun. Shame I will not be playing much, perhaps not at all, because I value my eyes preciously and do not fancy retching my dinner over some aliens. The graphics quality is also spectacular, when tuned to ultra levels, plus there's a significant amount of artistic gore all over the place. The screamer aliens are the greatest fun, because they explode so well and cause so much collateral damage plus splatter. You can also hear them coming from some distance, so you can prepare yourself for the onslaught. The mission plot is also decent, if childish and corny, but it does add some atmosphere and lets you enjoy your gorefest even more. 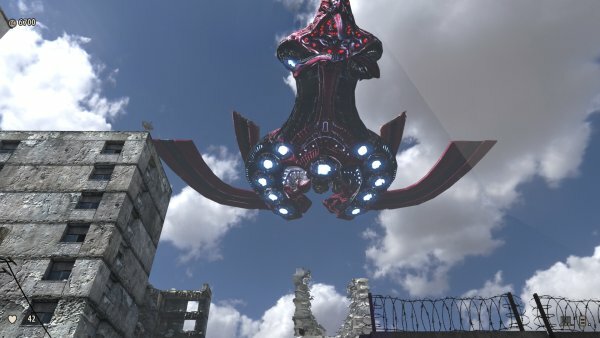 For example, the scene where the huge alien ship collapses a building is quite nice. 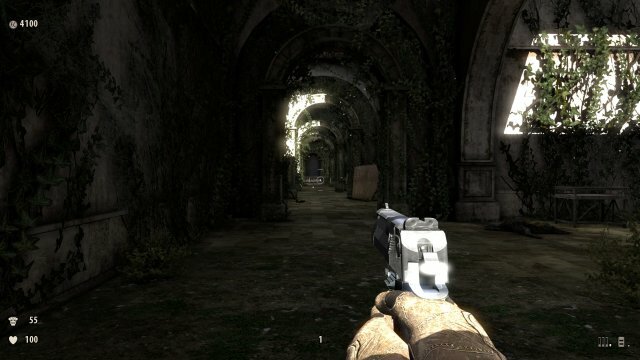 Unfortunately, I did not get to finish the campaign and play with some of the heavier weapons, and I did not want to use the cheats, so my screenshots here are limited to just showing badass pistol action. I did fiddle with a sledgehammer and tore a few hearts with my bare hands, and I must admit all weapons and kill methods are equally fun to use. 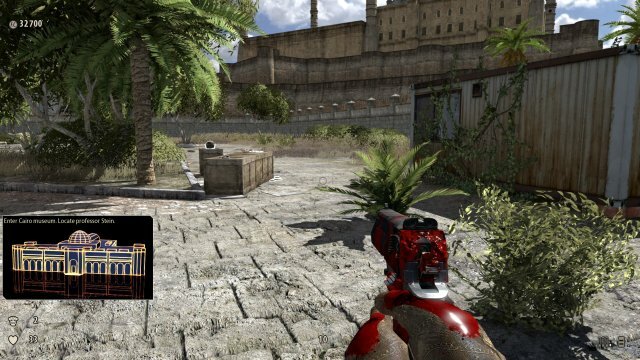 Serious Sam 3 is a game tuned to providing pleasure in using violence, and it excels at that. It does not presume to be anything other than a beautiful arcade replete with colorful aliens, lots of blood, and big, challenging maps full of ruins and some mystery, just to keep you going. If not for the rather tricky field of vision thingie that rapes my eyes so bloody well, it could be awesome. 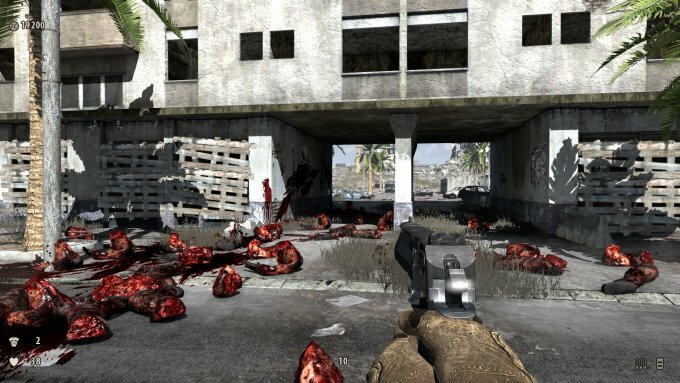 Serious Sam 3: BFE is a wacky, funnily violent shooter that focuses on providing you with a Tarantino level of red merriment, sacrificing realism and all that nonsense in the process. The game engine is still quite decent, the graphics level is truly spectacular, and the plot is solid. Most importantly, you're fed with gore in such silly quantities, you revel in the details like a retard seeing his first Helium balloon. I bought the game to support my Steam Linux cause and ended up playing the game on a Windows box, mostly because of the hardware requirements, and not because there was anything wrong of missing in the game on Ubuntu Pangolin. 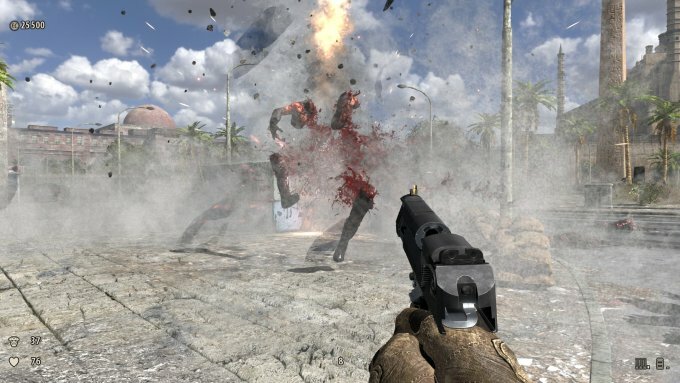 All in all, Serious Sam 3: Before First Encounter comes with a flawless, high-quality execution that really amazes and promises of the good things to come. If you're lucky, and your eyes are less sensitive than mine, then you will be enjoying yourself most immensely. The game deserves 8/10, and it's really entertaining. If you do not need to envision yourself as Saving Private Ryan but can do just well with Eddie Lomax in Desert Heat, then you will be thoroughly pleased with this game. To sum it up, Serious Sam 3 sells blood by the pound and lives to its word. What more do you need?